Install Coloring App Play Coloring Game There are 6315 Free Coloring Pages on our website. How to Reduce Stress With Coloring Pages? What is the Reason Coloring Books Comforting People? Welcome to the our Mobile Friendly, Android, IOS, PC friendly Coloring Pages website. Visit every day and browse our website to find out best and suitable colourings. Our team is uploading new colorings every day. How are children benefitted by coloring pages? Children will be spending most of their time inside the house as it becomes too chilly to venture outside. Sitting at home an idle brain will eventually become a devil’s workshop. So to stop it parents can plan activities that will keep the children entertained and educate them at the same time. Activities like story telling, cartoon movies teaching moral values and coloring pages will help children think and shape their young minds as well. Coloring pages is the simplest of activities to activate a child’s imagination and make him think about his choices. Children can color pages on their own choosing colors of their own choice which means that they actually imagine the color on the paper before picking the crayon or brush to color the page. This activates their creative and mental ability to imagine a thing before finishing it. Give the child a toy and he will break it, give the child a riding toy and he might crash it. Coloring pages has many benefits because it keeps the child confined to a single space and keeps him busy. At the same time the child is also learning to draw and color. Coloring pages has been scientifically proven to have helped children to learn to focus and concentrate on a single activity for longer period which slowly calms down the hyperactivity of the brain. Children with ADHD disorder have benefitted from this activity a lot. As explained before, coloring pages activates the imaginative part of the brain and the child consciously makes choices with what colors need to be used to complete his picture. Here the child learns to choose colors by logic when parents help him by saying that the color of the sky is usually blue. The child will then color the sky blue after recording the fact that he has seen the sky in blue color everyday. So a sense of logic is imbedded in the thinking process. Coloring pages can also be a group activity with children learning to share their colors and ideas with each other. This enables them to socialize and share with each other easily. 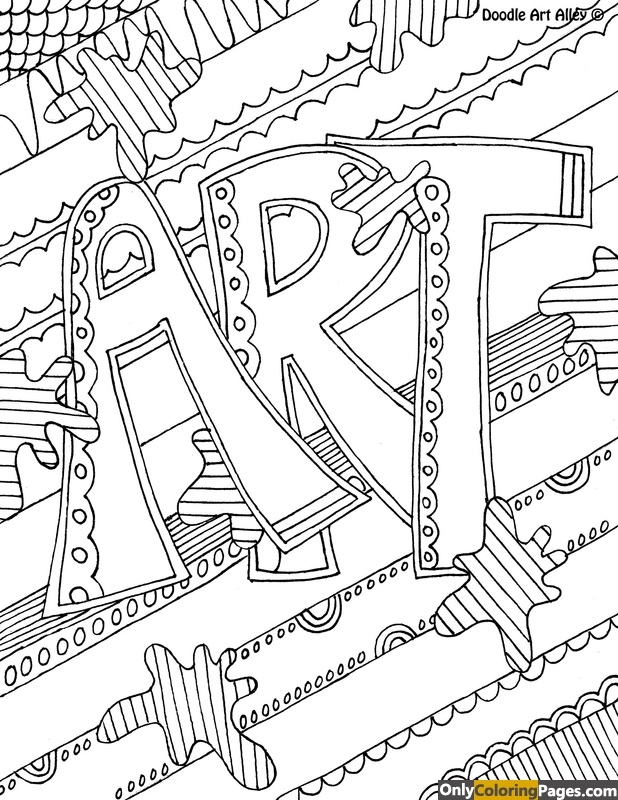 What types of Coloring Pages are available? The traditional way of learning to color pages was to draw and then color however in this day and age children have drawing books with pre-drawn pictures that they can color. Another option is to print coloring pages from websites that offer free coloring pages to be downloaded. This option is better because one can find a range of pictures of every category suitable for kids of all ages from 1 to 12 years. There are pictures of famous cartoons like Mickey Mouse, action heroes like Superman, fairies and villains, landscape paintings and even Alphabets for toddlers to color. It costs nothing and choices are plenty. They also make great holiday gifts. So this season make sure the kids use sometime to let their creative juices flow and color pages for fun. After having finished the coloring task make sure to take a photo when your child proudly displays his artistic work to you. All contents published under Creative Commons Attribution 2.0 License. In this website, all Coloring Pages can be downloaded PDF Format.